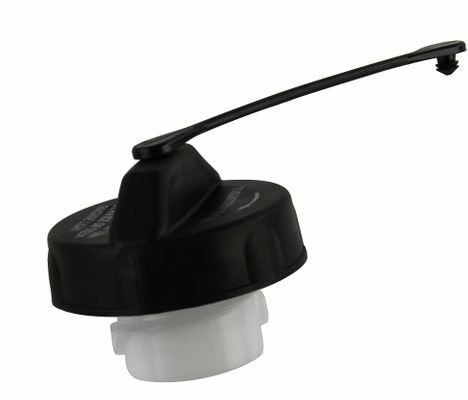 Replace the worn gasoline cap on your 2003-2006 TJ Wrangler or 2007-2018 JK Wrangler with this Mopar factory replacement, item number 52030387AB. This is a non-locking gas tank cap. One of the telltale signs of gas cap problems is the illumination of your vehicle's check engine light. If you have tried to tighten your gas cap and this has not solved the problem, your cap may be too old to tighten securely. Gas cap replacements are a low-cost solution to this problem. Highly recommend - fits just like the manufacturer. I had a check engine light on and the diagnostics said it had to do with fuel vacuum or something. My buddy told me replacing my old gas cap should fix it - which it did. When I incorrectly ordered the wrong gas cap, I received an email saying based on my vin number it was probably the wrong one. I had ordered the incorrect one and appreciated the feedback to getting the exact one I needed. Thank you! I passed the emissions test, so the product did it's job. Ordered replacement gas cap for my 2005 Jeep because the original gas cap had loosened and the check engine light came on. Solved the issue. Thanks so much! Easy to remove old one and add this one. Original cap was giving me errors. It was just old. This gas cap fixed that. Gas cap performed just like a new original part. Much better than a non OEM cap for the jeep because it has the attached cord. I bought a mopar tethered gas cap. I received a mopar tethered gas cap. Product works as expected, my old gas cap seal wore out, this is the same OEM gas cap that came on my Jeep. The part did however arrive almost a week after it was expected due to shipping delays. Don't know if that was on the transport side or retailer side. ProsIt's a Mopar tethered Gas Cap. It functions as expexted. ConsOnce again. It's a stock gas cap. Fit just as it should. ProsExact fit as a replacement gas cap. ConsMOPAR seems higher is price than after market items, but I suppose the quality is the key. Ease of ordering and prompt delivery. Easy to recommend this site for good service. Lost original cap and bought a 'replacement' at a local parts store. Since then, engine light would come on. This replacement is exactly what I needed; no more engine light. ProsFast shipping, exactly as described. Good price for a good product. Fit perfectly on my 2006 LJ. Simple install. Check engine light was on. Installed cap and took about two days to clear itself. All is good again. I have a 2003 Jeep Wrangler that my husband and I love to ride around in the summertime. The engine check light came on and I was worried something major was wrong. Come to find out, when I had it in for maintenance, the mechanic told me there was nothing wrong with my engine and all I needed was a new gas cap. I chose to purchase the factory gas cap because it has the tether attached to it and other's do not. Cap fit perfectly. Thanks Just for Jeeps.com. ProsHas a tether to keep from losing your cap when your putting gas in the vehicle.